Mr. Whited was born and raised in East Tennessee. Shortly after graduating from high school, he joined the Air Force where he served for four years as an air policeman. After his discharge from the Air Force, he worked and obtained his undergraduate degree from East Tennessee State College and law degree from the University of Tennessee in Knoxville, Tennessee in 1978. He moved to Daytona Beach, Florida after law school. Having worked for two small law firms, he realized he did not take orders very well. He opened his own firm in 1983 and has been selfemployed ever since. Early on in his legal career he was successful in excluding the Smith & Wesson Breathalyzer Model 900A from evidence based on the failure of the local police agency to properly follow manufacturer's instructions to detect radio frequency interference. This led to a major article in his local newspaper. This, of course, led to many people requesting his services. A few years later, Mr. Whited led the challenge to the Intoximeter 3000 breath test machine. He alleged and proved that the machine had been modified from the original version approved by the State of Florida. A local trial judge excluded the machine from evidence. Mr. Whited was retained by numerous persons and law firms all over the state to mount similar challenges in their counties. The state appealed the granting of the motion in Volusia County and the appellate court affirmed the suppression of the evidence. Based on this case, allegations of modifications of various breath testing machines resulted in thousands of breath test results being thrown out of court. Mr. Whited was recommended to the Florida Bar Association as a speaker at a DUI defense seminar they were sponsoring. Since that first program in 1986 until the present, Mr. Whited has spoken at over 150 seminars in over 30 states. See "DUI Defense Training" for more details. Mr. Whited has been retained to defend lawyers, doctors, CEOs of major corporations, professional athletes, rock stars, a former United States Ambassador and a whole lot of just plain ole good folks. 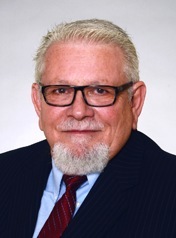 Mr. Whited is a member of the Florida Bar Association, National Association of Criminal Defense Lawyers and Florida Association of Criminal Defense Lawyers. He is a fellow of the National College for DUI Defense. Mr. Whited is "av" rated with Martindale-Hubbell. This is the highest rating an attorney can achieve, signifying "very high to preeminent" legal ability and "very high" ethical standards. Mr. Whited is also certified as a DUI Specialist in the American Bar Association and the National College for DUI Defense.